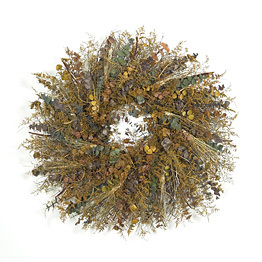 Beautiful earth-tones in dramatic hues of brown, gold, green, and purple. 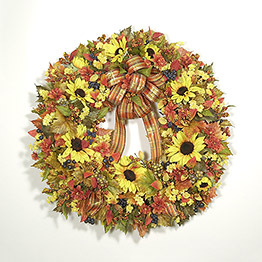 Realistic looking fruit and berries are highlighted by high grade silk flowers and foliage. 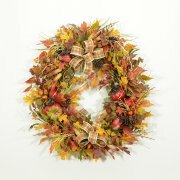 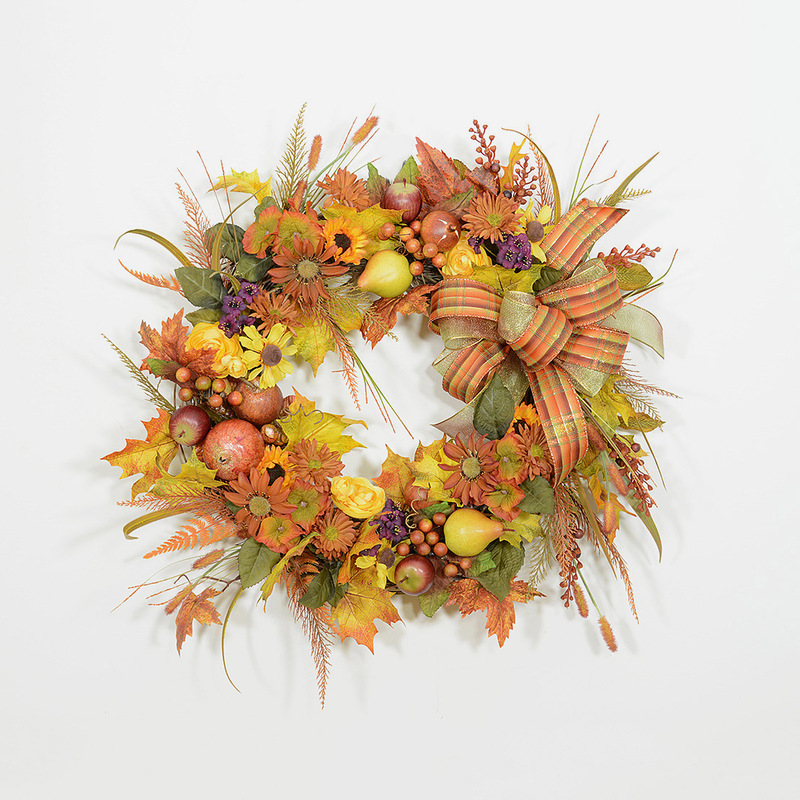 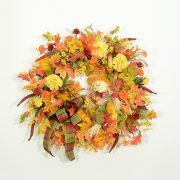 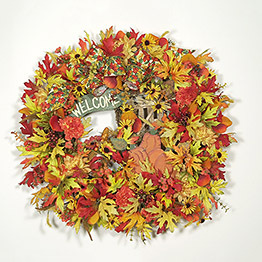 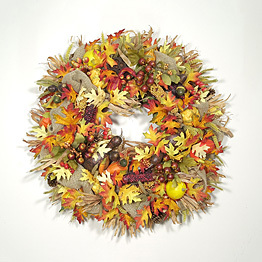 An elegant, yet casual wreath, perfect from fall through Thanksgiving.